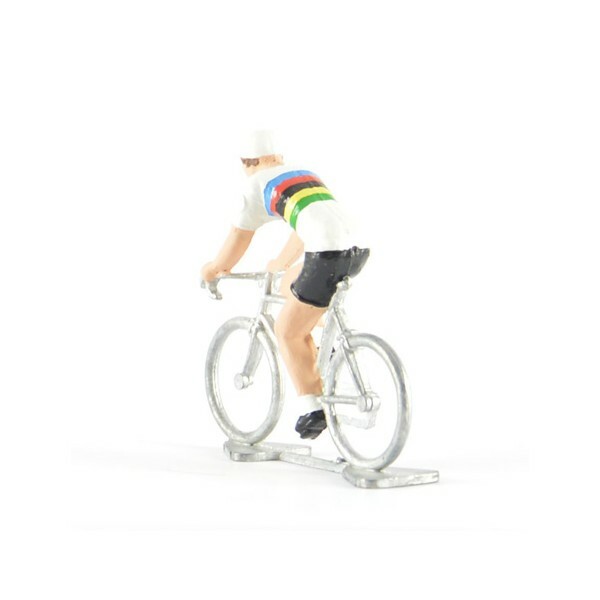 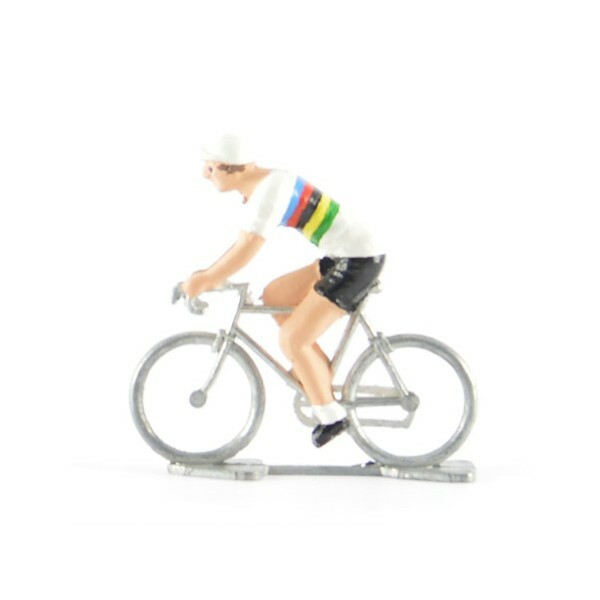 Handpainted miniature cyclist with worldchampion jersey. 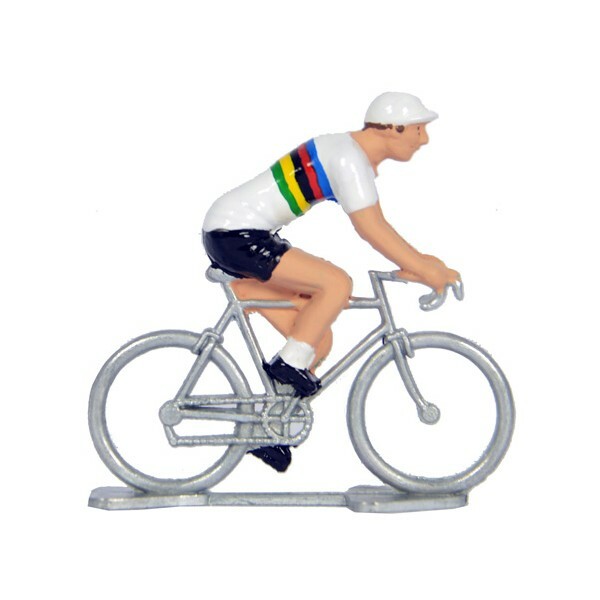 The Road World Championships are the annual world championships for bicycle road racing. 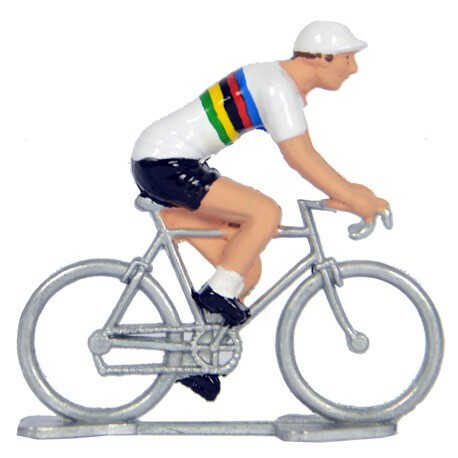 The World Championships consist of events for road race and individual time trial.